A carnation cupcake floral arrangement! I poked a dowel in the smallest reasonably sized styrofoam ball I could find and covered it with glue and glitter. I got lots of carnations, cut them short, filled a vase with water, and sprinkled glitter and heart shaped sprinkles on top. I found the tricks are the right vase and lots of carnations. I then spent over a week nibbling on sugar sprinkles on the table. November 4, 2010. 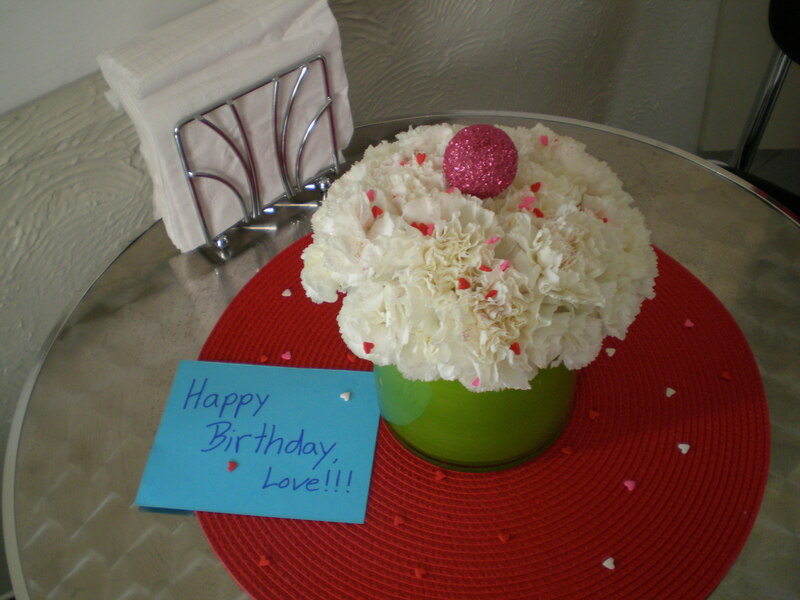 Tags: Birthday, Carnations, Cupcake Floral Arrangement. Floral Arrangement. Leave a comment.